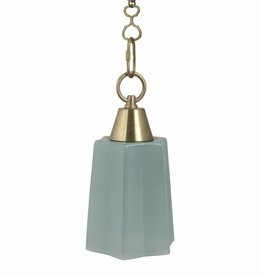 Antique light blue glass pendant with brass hardware and Ro Sham Beaux chain. 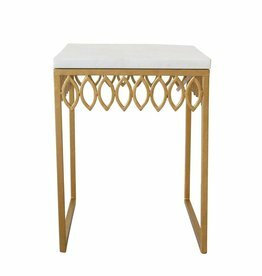 The Leafy Square Side Table features a solid metal frame with a gold leaf finish. A white calcutta marble top and metal leaf motif accent detailing complete this elegant and timeless look. 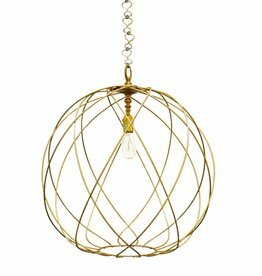 Ideally proportioned to hang above a dining table, this pendant features a spherical metal shade in a gold finish. Takes type A Bulb | 75 Watt max. 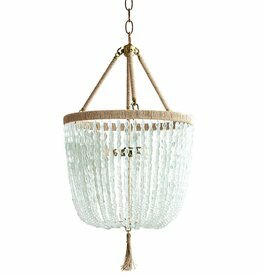 Light any room in an elegant style with this gorgeous Malibu Ice Chandelier! 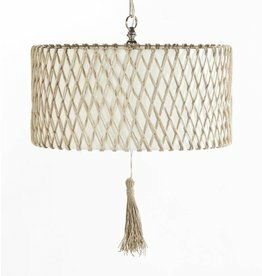 The wonderfully casual Sullivan is shell embellished drum pendant and features a sugar linen shade with hemp accent. Made in the USA. 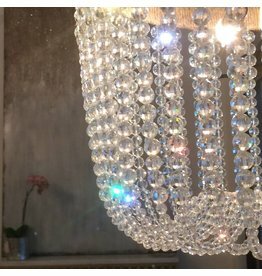 Takes 1 type A Bulbs | 75 Watt Max. 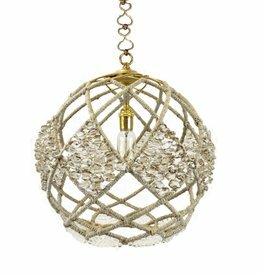 The Maya Chandelier features a hemp wrapped fabric shade in a diamond motif...elegant and naturally casual at the same time. 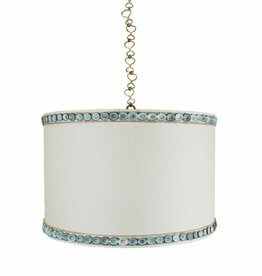 The perfect fixture for the exceptional coastal home! It's hard wired and takes a 75 watt/type A bulb.